sweetwater farm’s two new markets — and one partnership with dari mart! Excited to learn that two of my favorite local farmers, Lynn Crosby and John Karlik of Sweetwater Farm/Good Food Easy CSA, are breaking ground yet again! 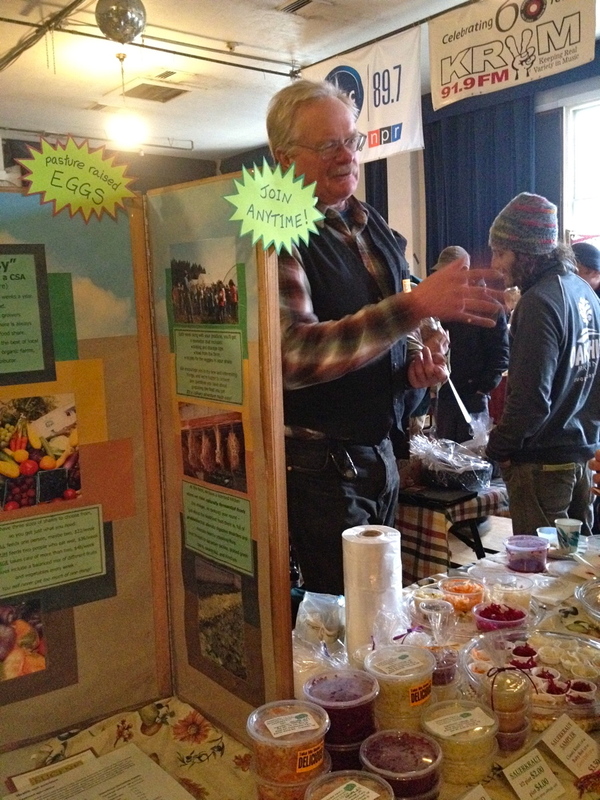 That’s Farmer John, above, at this year’s Fun with Fermentation festival. Creswell-based Sweetwater Farm has two NEW farm stands, one in the Fairmount neighborhood at 19th and Agate on Sundays, and one in an unexpected place — outside the Dari Mart at 1243 Rainbow Drive (at Centennial) in Springfield on Wednesdays. As excited as I am to see Sweetwater join together with a new local meat and poultry vendor Fair Valley Farm (Edited: some of the participants I listed earlier are not participating) at the Sunday market from 10-2:30, filling a void in our week full of markets, I’m even more excited about the Springfield market on Wednesdays between 4 and 6 p.m.
It’s what this Springfield market represents: a growing movement to bring healthy and fresh local food to areas that don’t have easy access to fancy supermarkets and almost daily farmers markets like we do in South Eugene. Dari Mart, a family-owned local company that also operates Lochmead Dairy, has almost 50 stores in the Willamette Valley, and we are so thankful for their interest in sustainability initiatives. Last year, they formed a partnership with several local non-profit organizations (including the Willamette Farm and Food Coalition and NEDCO (Neighborhood Economic Development Corporation) of Springfield) to improve good food access and fight childhood obesity in what are called “mixed-income neighborhoods.” The organization spearheading the effort, Lane Coalition for Healthy Active Youth (LCHAY), notes that Dari Mart is a pioneer in this type of partnership, as there aren’t many mid-sized chain operators interested in connecting with local farmers and non-profits to introduce fresh produce and other healthy food to the convenience store. You can learn more about LCHAY’s initiative called the Healthy Corner Store project, and more about Dari Mart’s efforts to bring fresh food to its customers, here. Sweetwater Farm has been selling produce now for a few weeks at Dari Mart’s Centennial location, and Lynn tells me that it’s been going well so far. Come make it even more of a success today, and enjoy their official grand opening! And if your organization is interested in participating in a similar project or you’re looking to give these folks some welcome media exposure, LCHAY’s contact is Claire Syrett, Manager, Policy and Advocacy Initiatives, Lane Coalition for Healthy Active Youth (LCHAY), 541-682-4306, claire at lchay dot org. save lane extension — vote! You’ve heard me go on at considerable length about my volunteer work with Lane County Extension, a branch of the Oregon State University Extension system. Without the passage of the bond measure on the Lane County ballot that was mailed out today, Extension’s future is jeopardy. In the past few decades, the service has weathered fiscal crises on the local, state, and federal levels. It has managed to stay alive and continue to offer a hotline and walk-in service for local farmers and gardeners; year-round garden and food preservation classes; a food safety and preservation hotline each summer and fall, 4-H services for children; and a host of activities educating and sharing with local farmers, foresters, neighborhoods, businesses, and non-profit organizations. And these services are necessary at a time of growing self-sufficiency and interest in local cooking and gardening. Folks that you rely on for your organic vegetables at our weekly farmer’s market and horticultural knowledge at places like Down to Earth and Coastal Farm & Ranch are often educated by Extension programs — and rely on the service continuing for questions and referrals. 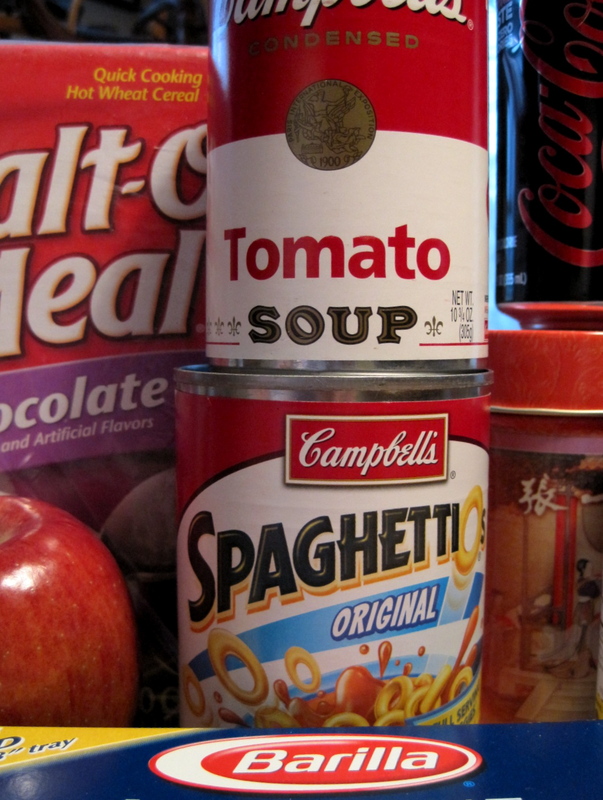 It serves low-income people in programs like the food pantry education demos. It serves seniors in homemaker training groups. 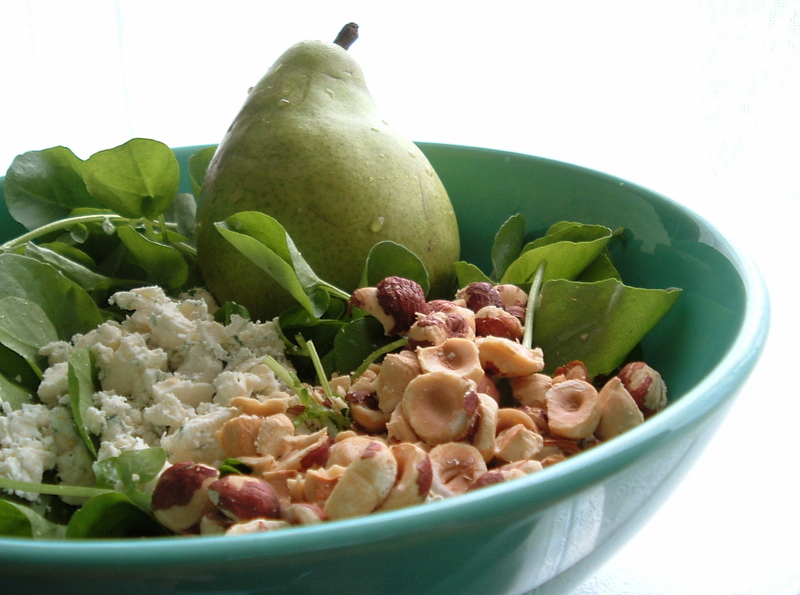 It serves middle-class people who grow food and raise chickens in their backyard. It serves suburban mothers, rural kids, academics, truck drivers, lawyers, bakers, and homeless people. 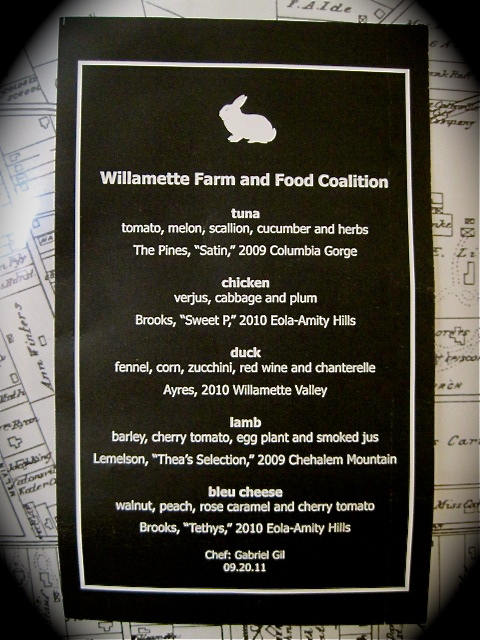 Extension serves as a sturdy hub in the network that makes up the Willamette Valley food shed. We respond to questions that are local to our area. This is a service that is not available anywhere else: not online, not in books, not in magazines. I say this as someone who is very internet-savvy and specializes in culinary literature and history. When I discovered Extension in Lane County a few years ago, I realized that we had an unbelievably rare resource right here in Eugene: a place where knowledge about local food and horticulture is centralized. It offers the community a place to exchange information and organize programming. If Extension in Lane County were to disappear, a vast store of irreplaceable local knowledge and organized outreach would go with it. It would be foolhardy in good times to squander this resource. In challenging economic times, however, when people are growing their own food and cooking locally now more than ever, allowing Extension to dissolve without allowing the public to voice its support would be irresponsible. Lane County Extension has been serving the community since 1914, and now serves about 65,000 residents. It is so interwoven into the fabric of our local systems that service the food and horticulture needs of our community, it would be nearly impossible for any new organization to fill these shoes. It’s much more cost-efficient to keep the organization alive at a reduced level than to realize, a couple of years down the road, that we really did need and value the services it provided. Please join me in saving Lane Extension. The Register-Guard has endorsed the bond measure, and we hope the Eugene Weekly will, as well, in its voter guide next week. For those of you who have never used an Extension service, I challenge you to see for yourself if it’s worthwhile. Next week, call the Master Gardener hotline (541-682-4247) during opening hours for free, research-based, local advice about a plant you bought at the market. Sign up for a $5 Kitchen Quickies class on savory pies, nuts, pasta-making, summer sausage, or sauerkraut. Drop by the office during opening hours (M-Th 10-5:00 with 1-2:00 closed for lunch) to have a weed identified. Check out the evolving local garden calendar or events at Lane County Extension on Facebook and learn when to plant and what pests to look out for in Lane County. For those of you who have benefitted from the services, please consider donating to the Save Lane Extension political action committee. 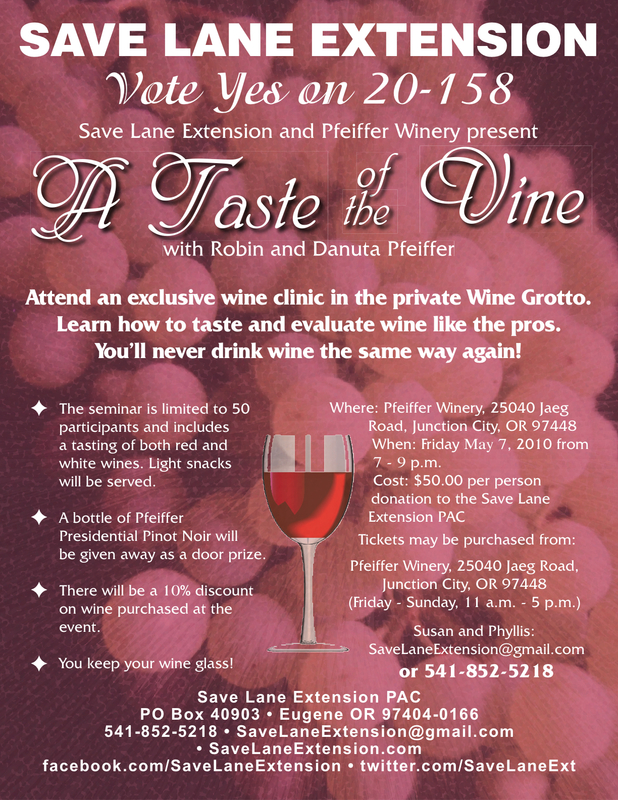 You are invited to attend the second Taste of the Vine wine tasting party at a great winery, Pfeiffer Vineyards. Pfeiffer has delicious, unusual wines, including a spry viognier and a fantastic pinot gris. The two pinot noirs are wonderful, and the merlot has the faintest hint of smoky bacon. If it’s like the event I attended a few weeks ago, you’ll come away from the event with a complementary Riedel Oregon pinot noir glass, too. I won’t go so far as saying you’ll be able to ‘evaluate wine like the pros,’ as the poster says, but you will have a great time with warm, charming people who will teach you the basics in tasting red and white wine. If you are unable to attend the event and would like to donate, the Save Lane Extension political action committee is looking for any donations for advertisements and other campaign-related costs. Now is the time to donate to let others know about Extension. Please see more information about donating here. 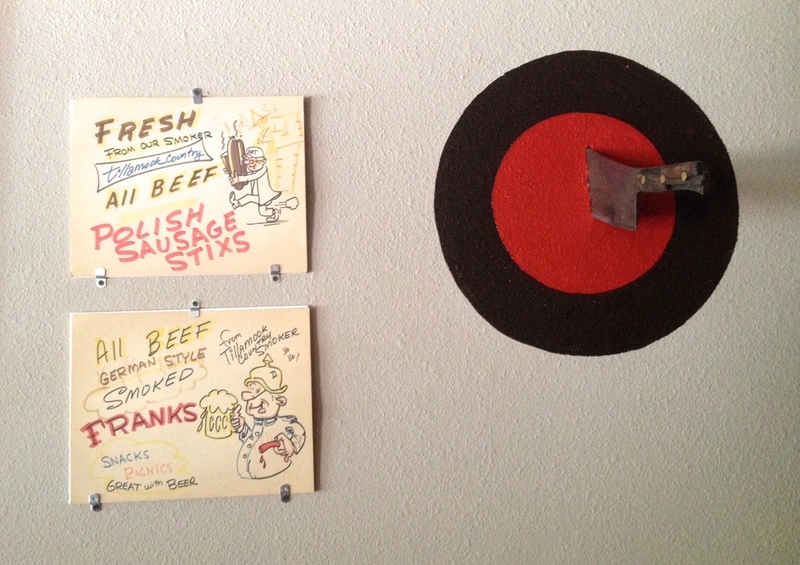 kitchen quickies classes: $5 a throw! I’m so pleased to announce the new series of low-cost OSU Extension Master Food Preserver classes in Eugene. As many of you know, OSU Extension is undergoing severe financial pressures with the reduction of local funding, and there will be a bond measure on the ballot this May to keep Extension alive. To showcase some of our offerings, the MFP volunteers are hosting a series of special, cut-rate classes this spring. Please sign up right away if you’re interested! Having an experienced cook available to provide tips you won’t find on the internet and answer your individual questions makes these classes invaluable. I’m particularly excited about the pie classes, since I know I need some help on my pie crusts, and about the summer sausage class, since my husband loves this picnic classic, but each and every class will be excellent. Which one am I teaching? Why, thanks for asking! I’m offering the March 29 “Roll Your Own Sushi” class. Sushi originated in Japan as a preservation technique and convenience food, and it’s now enjoyed around the world. I’ve lived in Japan and have a degree in Japanese literature, but more importantly, I can roll a mean sushi roll. We’ll discuss sushi’s history, then delve into buying sushi ingredients in Eugene, making perfect sushi rice and homemade pickled ginger, and hosting a sushi party. You will practice rolling techniques for hosomaki (small rolls) and temaki (hand rolls, the ones that look like ice cream cones). We’ll be using vegetable fillings, so vegetarians, vegans, and raw fish averse participants are warmly welcome. By the time we’re done, you will want to host your own sushi party! A new series of classes being offered for only $5.00 per class!! May 1, 10 AM- noon – Going Nuts! To register for any or all of these classes and find out more, just download the online registration sheet. I felt a little ashamed at the grocery store buying some of these items (you guess which ones). But a good time was had by all. So, did you catch the mention of Culinaria Eugenius in Cheryl Rade’s article on Eugene food bloggers in yesterday’s Register-Guard? Well, you can now! Perhaps you’ll be inspired to start your own local food blog, now that mine is fueled by Spaghetti-Os?